There are a number of places where traditional plumbing style does not suit as plumbing tasks at these places require a higher degree of skills and smart people who have vast experience of working in this domain. Pipe fitting is somewhat different from ordinary plumbing. Whereas plumbers are required to work for house fitting purposes like sanitation works, gas fitting, bathroom equipments and kitchen equipments, pipe fitters are mainly employed for working in industries for working on high pressure activities such as shipyards and refineries where they are required to fit big pipes. Sydney generates a substantial number of employments for the pipe fitting task in such industries where standardized methods are used. Pipe fitters are supposed to do numerous tasks out of which main tasks are assembled, installing, maintaining, repairing and doing significant troubleshooting of mechanical pipe systems which are carrying fuel, water, steam, chemicals and air for maintaining a smooth flow of all these kinds of liquids to avoid mishaps which may cause heavy distractions. 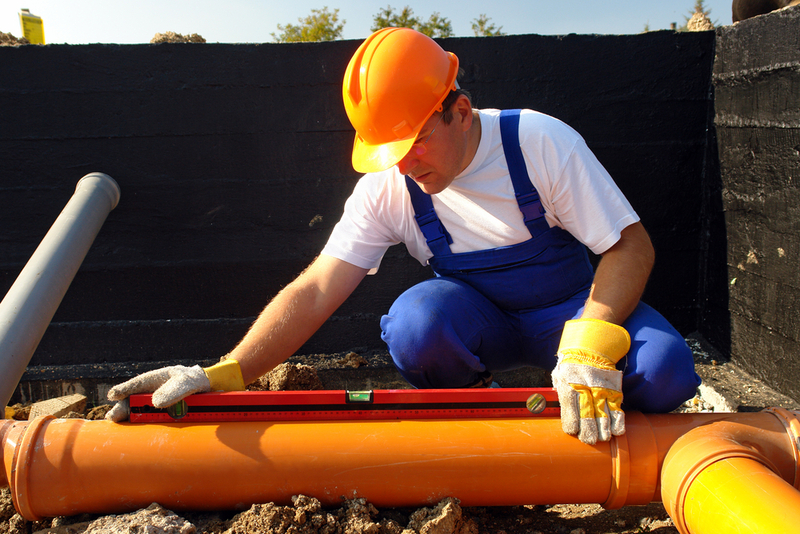 Hence it is regarded as a critical job that requires great skills while ensuring overall safety of the pipes. They are mainly employed in power stations to ensure safe working of equipments and similar establishments. The pipe fitters that are employed in industries need to have formal trainings as the job involves some risk and requires an expert hand. Some apprenticeship and technical programs are offered in the trade schools where the interns go through intensive practical and theoretical studies to be able to develop a mindset of working in large chemical or refinery industries. Typical duration of course is from two years to five years and also depending on the student involved in the course. As already said that being a pipe fitter is not an easy thing, this is a career that is risky as one have to work in environments contain hazardous chemical gases, uncontrolled steams etc. But one, who can understand the industry and matches required physical strength, manages to become a good professional in this domain. One may prescribed to work through diverse environmental conditions, inclement weathers or cramped positions. Being a job that requires high skills and excellent capability of withstanding of the body in different conditions, there is a huge demand for qualified pipe fitters. This job requires some special tools like flange tools, marking & cutting tools, pipe tool kits containing spaces, pliers and clamp tools, etc. Apart from these tools, there are some more tools that are widely used for the pipe fitting purpose. Sydney is an important destination where one may find enough plumbing services that are involved in pipe fitting. Almost all kinds of fitting tools are available in various online stores and on physical stores. So when comparing it with respect to plumbing job, this involves risks as one may have to work under high pressure and high temperature working conditions. Pipefitters plumbers Sydney is actually the counterpart of each other. Pipe fitting is a job that requires high skill, exposed to greater risks. At the same time, they are generally paid more than normal plumbing services because of the skill and job’s requirement to be alert every time. A pipe fitting emergency can rise any time; hence they have to be on their toes all the time.